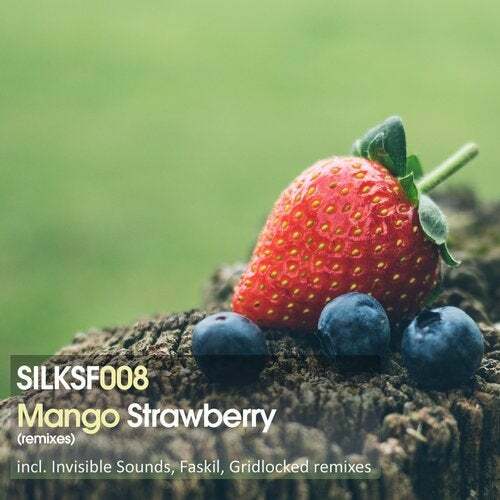 To honor one of Silk's earliest and most cherished releases - the Mango classic "Strawberry" - affiliate label Silk Sofa presents a trifecta of new down-tempo interpretations. Fittingly, one of Silk's longest standing (and most accomplished) artists, Invisible Sounds, provides the first "on the rainbow" remix. Choosing to transport the listener into a tropical rainstorm - perhaps somewhere in the Orient - Invisible Sounds has once again crafted an exceptionally soothing, sonic escape. Faskil's remix begins with characteristically darker textures; yet, at the midpoint, the track beings to offer glimpses of the more uplifting melodies of the original, as well as a proggy rhythmic outro. Finally, Gridlocked, who made his artist debut earlier in the year with "Balancing Act" (also on Silk Sofa), returns for a similarly cinematic interpretation, guided by an ebullient flute lead.